Assess real estate opportunities fast and reliably. 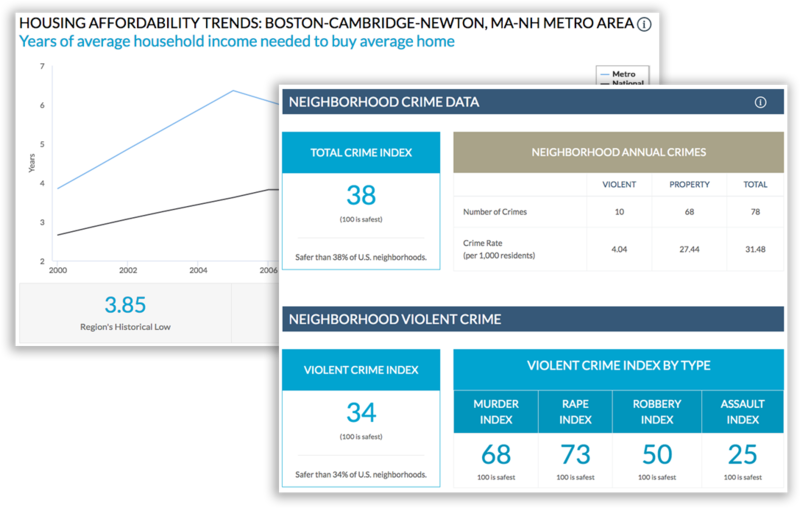 Know the crime risk profile for any location, instantly. See exclusive market trends and forecasts below the zip code. Access objective data trusted by 65 million users. Only NeighborhoodScout let’s you uncover and evaluate opportunities at the micro-neighborhood level in any market, for every address. Discover locations that are ripe for high future appreciation and increased year-over-year performance. Tune each property to its location and discover opportunity to increase rents and optimize tenancy. Attract more clients or investors by showcasing your local expertise. 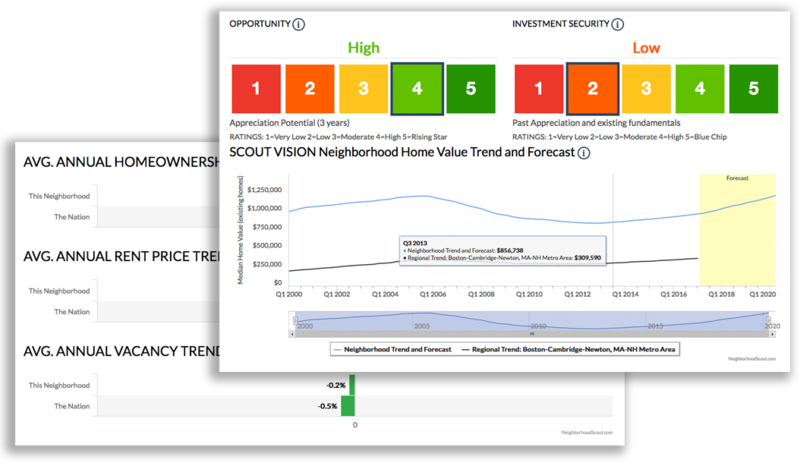 NeighborhoodScout illuminates crime, demographic and valuation insights so you understand the security and risks of financing a new asset. 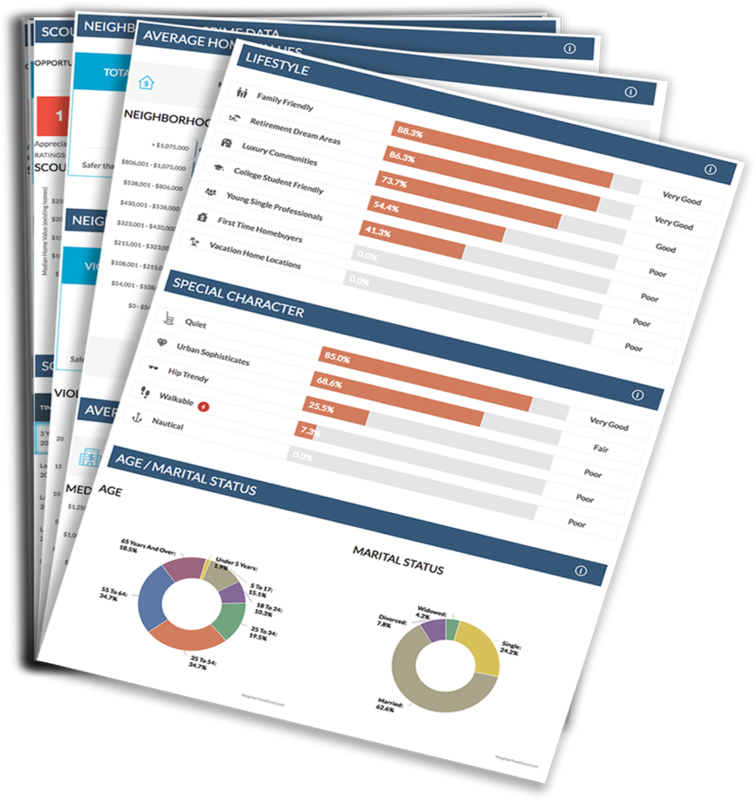 Instantly identify the stable or distressed neighborhoods that line up with your business initiatives. Monitor risks looming in your existing portfolio, and quickly adjust your strategy. Be equipped to price an asset more suitably for risk, promptly and accurately. 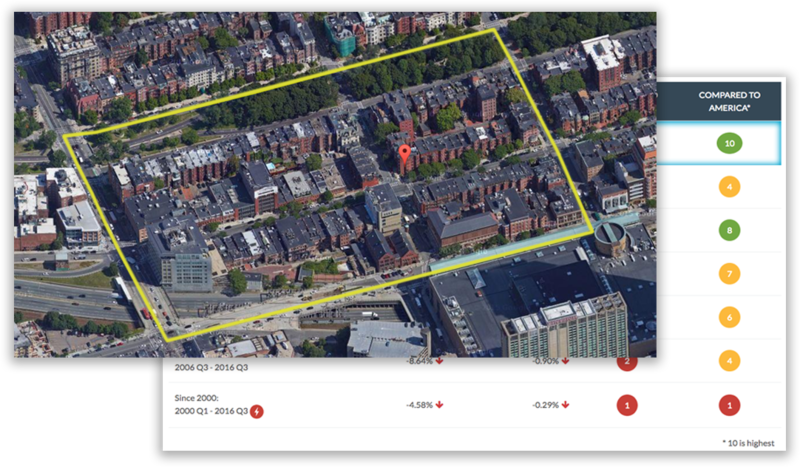 Gain a competitive advantage and be the first to witness hyper-local market movements at a scale 10X smaller than the average Zip Code. Know where and when rejuvenation or degeneration is occurring. Be the first to arrive when the market is about to expand, and prepared to exit before values decline. Evaluate your assets regularly and shield them from the next downturn.